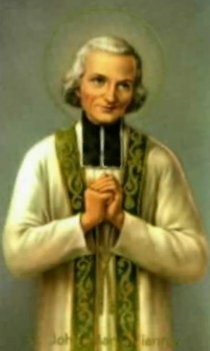 "There are some who think, and even declare openly, that the true measure of the merits of a priest is his dedication to the service of others; consequently, with an almost complete disregard for the cultivation of the virtues which lead to the personal sanctification of the priest (these they describe as passive virtues), they assert that all his energies and fervor should be directed to the development and practice of what they call the active virtues. One can only be astonished by this gravely erroneous and pernicious teaching." 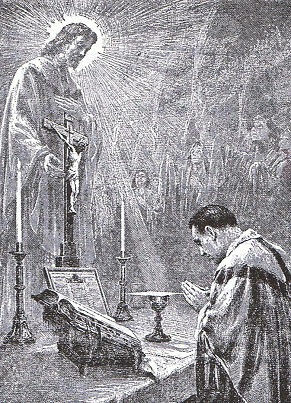 O Jesus, eternal pastor of souls, hear our prayer on behalf of our priests and hear in it thy own eternal desire. Are not priests the object, of thy most tender and exquisite care, that profound love in which are summed up all thy affections for souls? Let us confess our unworthiness to have good priests. But thy mercy is infinitely greater than our folly and wickedness. O Jesus, grant that only those ascend to thy priesthood who are called by Thee; enlighten pastors in their choice, inspire directors with a spirit of counsel, and teachers in the cultivation of vocations. Give us priests who are angels of purity, models of humility, seraphs of holy love, heroes of self-sacrifice, apostles of thy glory, and saviors and sanctifiers of souls. Have pity on the ignorant who should be enlightened, on the sons of toil who call for someone to save them from error and redeem them in thy name, on all the children and youths who cry for such as may save them and bring them to Thee, on so many who suffer and have need of a heart which will find them consolation in thine. What a number of souls would arrive at perfection through the ministry of holy priests! Then, O Jesus, have compassion again on the crowds who hunger and thirst. Grant that thy priesthood may bring to Thee fainting humanity, and let the earth be once again renewed, the Church exalted, and the reign of thy Heart established in peace.